As I noted a week ago, both the House and the Senate have voted to suspend the Required Minimum Distribution (RMD) for 2009. Unfortunately for those hoping for relief in 2008, this news was too little, too late. That being said, the Treasury Department has the authority to grant RMD relief for 2008, and they’ve apparently been studying their options. While I haven’t heard anything official one way or another, a reader named Howard has been in touch with the legislative staff of the House Ways and Means Committee. According to him, the Treasury has decided that there’s nothing that they can do for 2008 (see comments here and here). So… Assuming he’s correct, those hoping for an RMD waiver in 2008 are out of luck. Not sure what the heck we’re talking about? 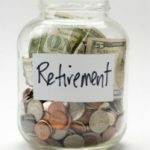 Check out “What is a Required Minimum Distribution (RMD)?” In short, it’s a mandatory withdrawal that retirees have to take from their retirement accounts once they reach the age of 70-1/2, and there has been concern that retirees who didn’t take their RMD early in the year would be forced to withdraw a disproportionate amount of their funds. My wife is 6 years younger than myself. 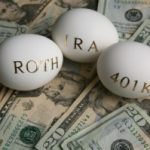 Can I rollover my 401(k) to an IRA in her name and delay the RMD until she reaches 70 1/2? Michael: It’s based on Dec 31 of the previous year. How can someone have already taken distribution for 2008 if the amount is calculated based on the value on Dec 31? I work in a financial advisory firm. I feel so bad for our clients who are being forced to take large amounts of money — based on last year’s much higher account values — from accounts now worth much, much less. Some people set their RMDs up automatically for later in the year, to pay property taxes or even just for holiday spending. There still should be some way to protect anyone who took their RMDs in 2008. Many of our clients would rather keep the money invested. We have a lot of 403b clients, too, who have to go through extra hoops for money that clearly the government now thinks they shouldn’t have to take out. It appears that it is too late for those of us who have already taken out the RMD for 2008.